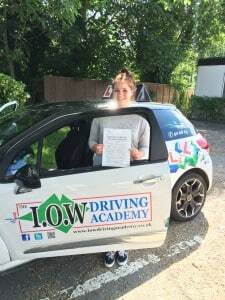 CONGRATULATIONS to Emma Lounds for passing her driving test today, Tues 17th June 2014 at her first attempt with ONLY 1 minor driving fault. This was a great drive and very well deserved, Well Done. P.S Thank you for my gift too, it was very much appreciated. They will keep me going for a while..